This page is about the American fighter P-39N-0. For other uses, see P-39 (Family). The P-39N-0 Airacobra is a Rank II American fighters with a battle rating of 3.3 (AB) and 3.0 (RB/SB). It was introduced into the game sometime prior to Update 1.27. The primary purpose of a P-39 is that of a low-level interceptor against low energy aircraft. It lacks the high-altitude performance needed to engage strategic-bombers. The 37mm M4's dropping trajectory and slow rate of fire make it useless in head-on passes. Therefore, prioritise low altitude objectives, like escorting attackers & low alt bombers, or prey on the ones of the enemy. Basic dogfighting skills apply. Use energy tactics and only fire the cannon only under optimum conditions. A separate key for the main gun is advised. Otherwise utilise the given machine guns at every opportunity. Especially those 7,92 light machine guns in the wings, with 750 rounds per gun you wont run dry that fast. The center/cowling mounted .50cals provide great long range accuracy & harassment. "Jack of all trades, master of none" is the credo of the Airacobra. Thus the basic tactic is to analyze your opponents weakness and then exploit it. 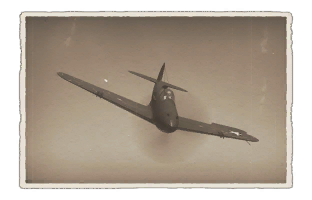 The P-39 will always find an area, it is exceeding the foe. Or at least, is on par to let the skill decide. Given the P-39's sleek and rather aerodynamic form, BnZ is the preferred form of combat. However TnB is an option as well. 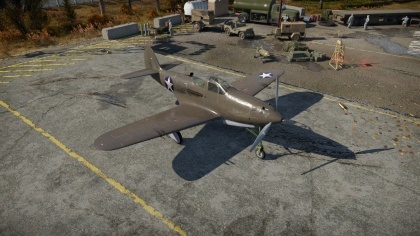 Again, the P-39 provides all the options a pilot wants "Jack of all traits, master of none". "Jack of all trades, but master of none"
This page was last edited on 6 April 2019, at 17:54.